Tips and advice for walking your three legged amputee tripod dog. Tripawds reviews “Cambium and the life of Lanagan Murphy,” by author and animal activist Chris Grayling. Three legged dogs recovering from amputation surgery need good quality toys to alleviate boredom when recuperating. We hope you find this blog helpful. Introducing the amazon blog for tripawds! 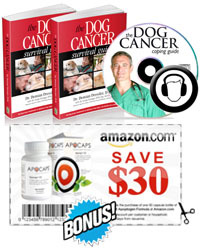 Save on pet supplies and stay tuned for book reviews, product recommendations and more!